19BOX RECORDINGS has started a new EP series entitled 'Dueling Weapons', which will focus on bringing unreleased remixes to the world. 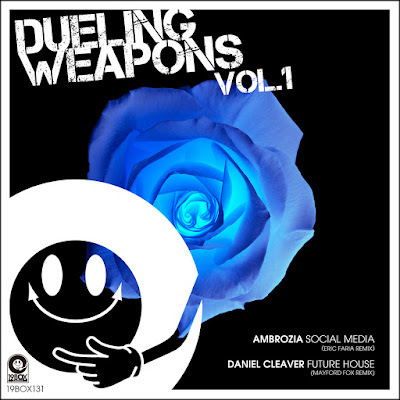 The first installment of 'Dueling Weapons' is jam packed with secret weapons from the 19BOX RECORDINGS roster and includes exclusive remixes by artists such as Eric Faria and Mayford Fox. First up to the plate is Ambrozia's 'Social Media' taken from their 4th album "Resurrection". Eric Faria, who hails from Braga, Portugal steps up on remix duties and expresses old school sensibilities with his trademark sounds. The other is from an artist familiar to 19BOX RECORDINGS / PARK LIMITED MUZIK fans. Daniel Cleaver AKA Dynamic Illusion's 'Future House' has had a proper remix treatment by our favourite Italian Mayford Fox. He channels ethereal tech house over six minutes of finely crafted ebbs and flows. Tokyo's Genuine Fakes aka Sota S. returns to the 19BOX RECORDINGS imprint following his 'Daybreak EP' from November of 2015. He has covered 'Tour De France', originally a hit for the German techno innovators Kraftwerk in 1983. Adding his signature style to the classic, he keeps synth line, maintaining the retro vibe with help from a Linn Electronics' LinnDrum. Genuine Fakes has pulled the track out of oblivion to return it to lounge sense. 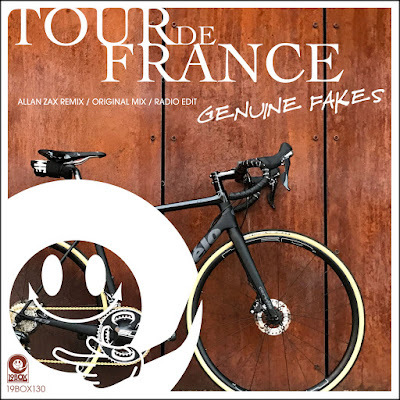 As usual with 19BOX RECORDINGS, there's a quality complement of international remix in the shape of Bulgarian producer Allan Zax with a massive proggy house version. He has stepped up to the plate to revisit this seminal piece of timeless music.